Last Saturday, the 10th of September, we held our final workshop of this year with the congregation of the Divine Redeemer in the city of Bucaramanga. We planned a series of three workshops: the first focused on local peace-building and small daily acts; the second was putting that local peace-building into action as we spent a day at the Sustainable Farm of Rehabilitation of Antipersonnel Land Mine Victims, planting trees, learning about the work of the farm, and discussing the need to protect the vulnerable as a way of building peace. 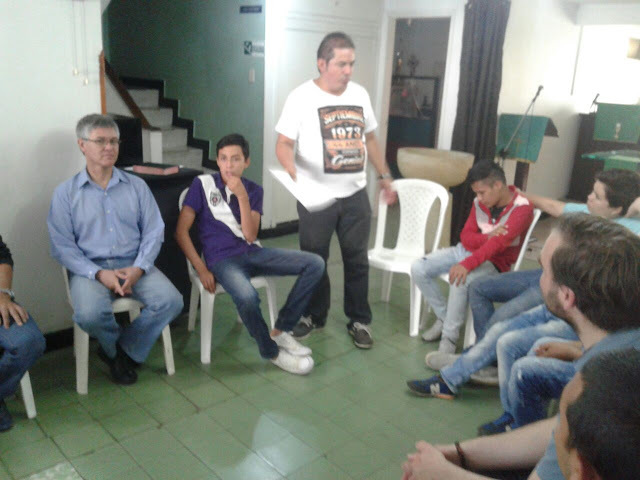 Here is Pastor Sergio Talero, pastor of the Divine Redeemer congregation in Bucaramanga, introducing the workshop and summarizing a little of what was learned in the workshops leading up to this one. Photo by Guillermo Gil. For this third and final workshop in the process with this congregation, we focused on how to be a transformative community. The congregation along with landmine survivors who live at the Sustainable Farm of Rehabilitation of Antipersonnel Land Mine Victims discussed the need for the local congregation to be involved in building peace in its surrounding community and city, as well as different ways to do that. We finished the workshop with a liturgy for peace-building. 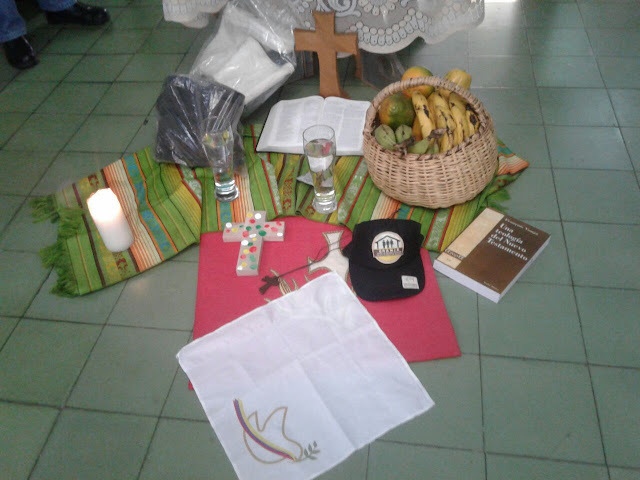 During the peace-building liturgy we used the offering time for the participants to offer symbols of peace. They ranged from food and water to rubber boots (as a gift to those who live and work on the Farm for Landmine Victims). Photo by Guillermo Gil.